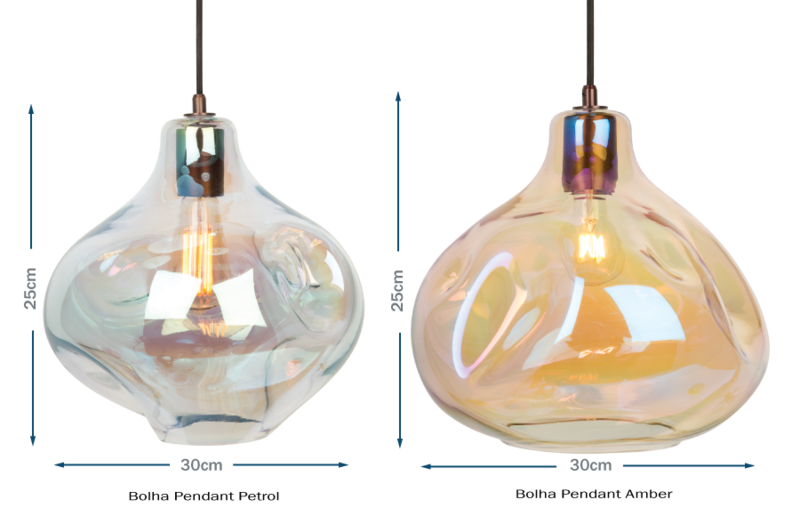 Expert craftsmanship is combined with cutting-edge design to create this exclusive collection of glass pendant lights for Heal's. 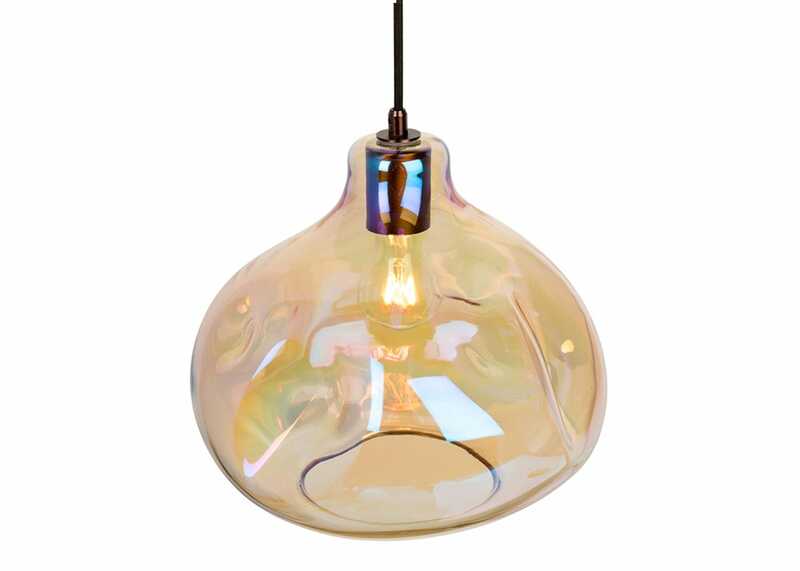 Bolha which translates to 'bubble' in Portuguese captures the hand-blown nature of this organic glass pendant. With each piece made individually, the dimples will differ slightly on each piece, creating a stunning pool of light, giving depth to the surface colour. 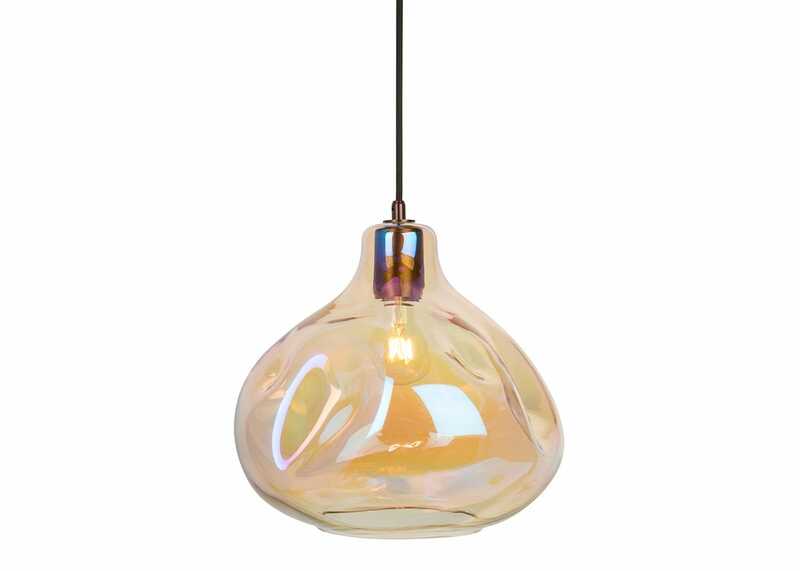 Available in a warm amber or contemporary petrol finish; these striking pendants are paired with aged bronze metal fittings. 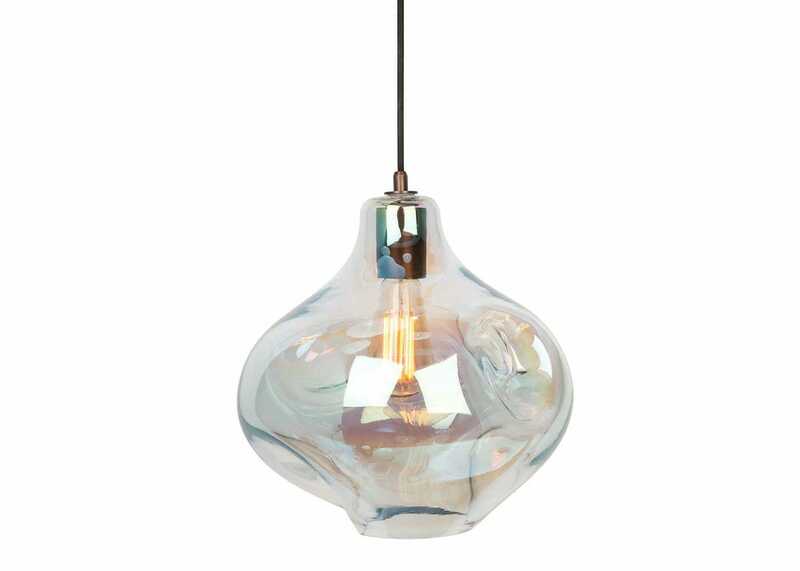 Ideal for hanging in a cluster or individually, this elegant collection of pendants will revitalise your interior. Hand-blown creating a unique finish on every piece. Crafted from glass which provides a refeshing modern look to your interior. 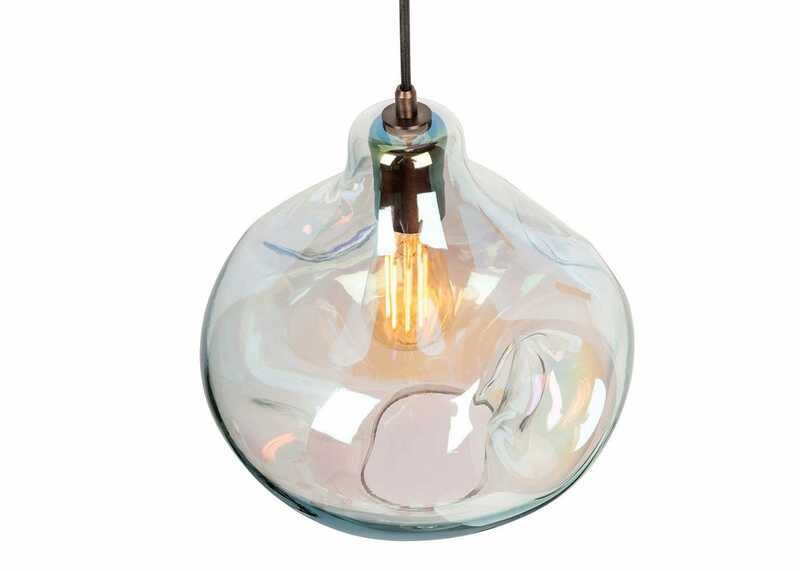 Ideal lighting for hallways, kitchens or living rooms. 250cm of adjustable fabric flex. Bulb fitting: E27 6W LED. Available in 2 finishes: Petrol and amber. Please note: As this is crafted by hand each piece will differ slightly and may impact on the choice of bulb.